Artist’s impression of Eds.Square’s Eat Street. Construction of the first homes begins next month, so a celebration is in order at Ed.Square, the mixed-use community bound for Edmondson Park. Frasers Property Australia is inviting the community to join in the festivities. To mark the official grand opening of Ed.Square and a new release of town homes, Frasers Property is holding a fun-filled family day, appropriately dubbed Ed.Fest, this Sunday, September 23, from 11am to 3pm. There will be plenty of activities for young and old, with food trucks, free entertainment with a live band, property styling workshops and competitions, including an exciting scavenger hunt with lots of prizes. There will be plenty to keep the little ones entertained, with a jumping castle, petting zoo, face painting, balloon twisting and a fire truck. Ed.Fest will be a great opportunity for people to check out south west Sydney’s new urban neighbourhood, including the sales centre and the seven fully-furnished display homes which showcase the variety of housing styles on offer at Ed.Square. 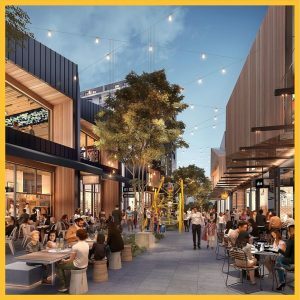 Frasers Property experts will be on hand to answer questions about the new community and its town centre, which will provide a shopping, dining and entertainment precinct incorporating an Eat Street, fresh food market place, proposed cinema, childcare centre, water play area, tavern and healthcare facilities. The town centre’s retail precinct will be anchored by a Coles supermarket and Coles will be giving away $2,000 worth of vouchers as prizes on the day. Dino Carulli, Frasers Property sales and marketing director NSW residential says everyone is invited to come along to Ed.Fest and see for themselves why everyone is talking about Ed.Square. “Ed.Square is one of the most exciting new communities in Sydney’s south west, not just because of the convenience of the onsite train station within walking distance of every home, but because of the wide choice of homes on offer,” he says. 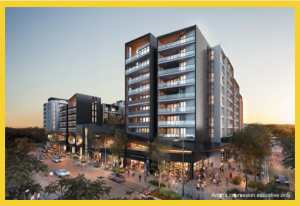 Ed.Square wil be a connected community adjacent to Edmondson Park train station comprising over six hectares of open space and a variety of home styles and floorplans. The 920 apartments as well as 893 terraces and townhouses will all be within walking distance of the town centre, which will feature a 68-metre high residential tower at its epicentre, from which the village will expand into the streets and laneways that flow to parks and bushland. The first Ed.Square residents are expected to move into their homes in early 2020 coinciding with the completion of the first stage of the Town Centre.